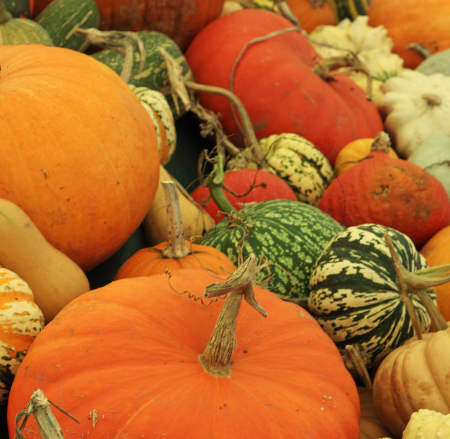 Butternut gourd, also called simply butternut, is one of the most popular squash varieties. From seed to harvest, here is everything you need to know to grow your butternut well and have great harvests. 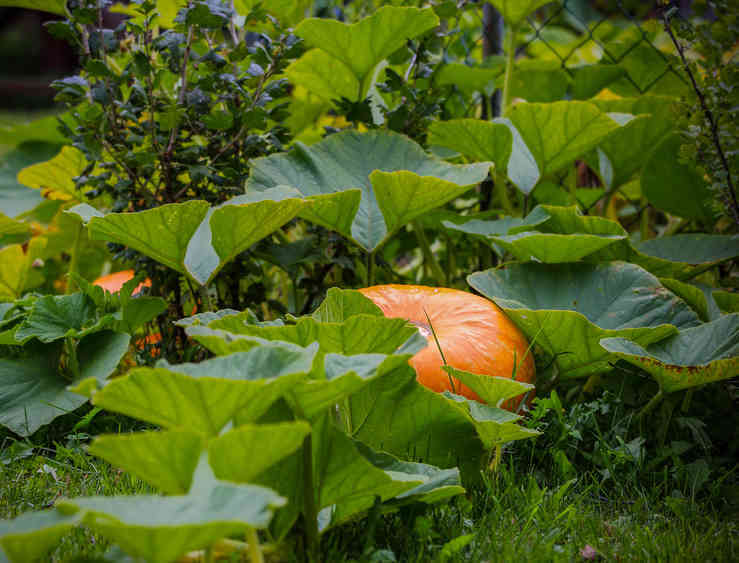 February-March to April is the right time to start sowing butternut gourd in a sheltered place in nursery pots, followed by transplanting when the last frosts are past, or you can also wait for direct sowing starting from the month of May. Butternut gourd loves heat, and requires warm to hot climates to germinate properly. For sowing in nursery pots in spring, count more or less 3 weeks before transplanting them to the ground. That’s why there is no need to sow early. Provide for at least 6 ½ feet (2 meters) between plants. Once your butternut plants have grown well, mulch their base to keep the soil moist and cool. Mulch helps keep the butternut from staying in contact with the soil thus avoiding the risk of rot. 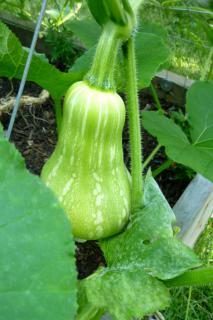 Butternut gourd needs water to develop well, especially in case of heat and/or extended dry spell. The signal to start harvesting the butternut is when leaves have dried up. It is usually when the fruit itself takes on a beautiful beige color and that its stem turns brown. Fruits start to mature as early as September, but best is to collect your butternut when the stem has dried up and that foliage has turned yellow. After the harvest, butternut can keep for several months, in a dry room with a temperature ranging from 50 to 60°F (10 to 15°C) maximum. Avoid storing the butternut in a moist room because this considerably shortens its keeping. As soon as any spot on the butternut softens up, remove it and eat it immediately. We find butternut appealing for its subtle taste which is a bit sweet and buttery. 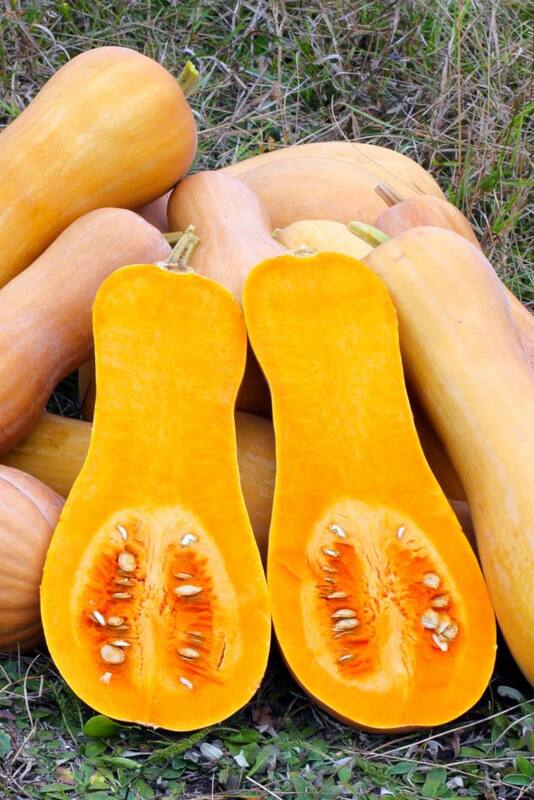 With low calorie levels and high vitamin C, B1, B6 and K content, butternut also has proven antioxidant properties. 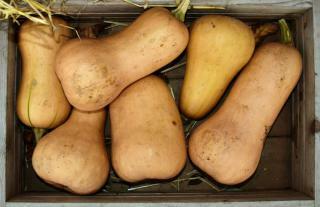 Since it contains 92% water, and since it is potassium-rich, butternut is an excellent vegetable against hypertension. This fruit / vegetable also has the advantage of keeping for a long time over winter, ideally at temperatures of about 50 / 55°F (10 / 12°C). Take care not to let too many fruits develop on a single plant (at most 5 or 6), or you risk reducing the quality of the overall harvest.